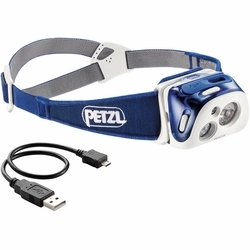 Petzl REACTIK Headlamp. Compact, rechargeable and intelligent headlamp with REACTIVE LIGHTING technology that automatically adjusts brightness to the needs of the user. 220 lumens.